Successfully Added Quad Band Touchscreen Cell Phone - Dual SIM Compact Worldphone to your Shopping Cart. 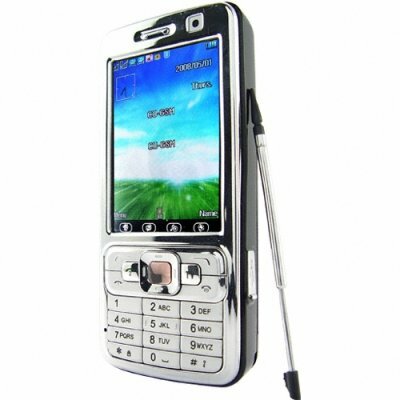 Unlocked quad-band cell phone with a 2.5 inch touch screen display and dual SIM card slots. The CVSC-235 quad band touchscreen mobile phone is proudly brought to you by Chinavasion Electronics. Order your stock now and don't forget to sell your customers additional add-on accessories like belt clip cases, protective sleeves, and Bluetooth earpieces to maximize your profits. NOTE: This product is compatible with GSM at the four frequencies of 850MHz, 900MHz, 1800MHz, 1900MHz. This can be used throughout the world..